The bastion of local news the Eastern Courier is divorcing 1/3 of the residents of the City of Unley. City of Unley residents living west of Goodwood Road will be divorced from our local community. All thanks to a faux pas by the Messenger Press. The Eastern Courier, which reports on the affairs of the City of Unley, will be no more for these residents. It will no longer be delivered to the doors of any resident living west of Goodwood Road. They have removed Clarence Park, Black Forest, Forestville, Everard Park, Goodwood, Wayville and Millswood residents from their circulation. The Messenger Press have determined that it is in their best interests and the interests of their readers to change the distribution of their free weekly papers. If you live west of Goodwood Road you will now be considered a beach goer. You will be part of the circulation of the Coast to City News. Coast to City News will take over the area previously covered by the Guardian Messenger. It will also be our paper. This paper will keep us up to date with what is happening at Richmond Oval rather than Unley Oval. It will keep us up to date with events along Adelaide’s beaches rather than the parks near where we live. You will miss out on hearing about an upcoming film event at Page Park at Clarence Park. We will hear not about flooding in Brownhill Creek, but rather damage to the jetty at Brighton. We will get to know about opportunities to have our say about the initiatives of the City of Marion, the City of West Torrens and curiously the City of Holdfast. But not the City of Unley. We in the west of Unley will become part of Adelaide’s greater west and we will therefore be divorced from our local community. Are you happy with being divorced from our local community? If not I suggest you lodge your protest with the Messenger Press. The headlines on tough new rules on Road Side tributes/shrines paint Unley Council as lacking in compassion for the grieving families of those of us who have unfortunately lost their life in traumatic circumstances. So is Council demonstrating a lack of compassion or is their new policy based in compassion? Last Monday night Council debated and passed a new Memorials Policy. Until now Council has not had a policy to guide Elected Members and the Administration in the management of ad hoc memorials. The new policy was intended to promote fair and consistent management of both temporary and more permanent memorials. Our Administration felt a “Memorials” policy would provide guidance for the public and Council re the type and placement of memorials. Much of the policy focuses on the management of permanent memorials. The Policy examines what form a permanent memorial in and around Council property (parks and gardens, ovals etc) may take and where and how it may be placed. 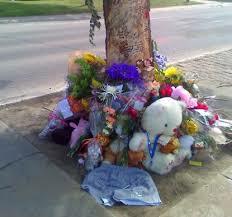 Council has always been empathetic to the grief that has prompted a temporary shrine or memorial. We have however had to deal with those in our community inconvenienced by a memorial. Often the memorial has overflowed onto footpaths restricting clear access for pedestrians. Council does have a legislated responsibility to maintain the amenity of the area and public safety. We are obliged to maintain the streetscape and parks etc to a standard which is acceptable to the majority of the community. The intention then of the policy is to keep a balance between allowing the public to express their grief or enjoy a celebration whilst respecting the right of people who live or work adjacent the memorial site and to enjoy ready access to their property. 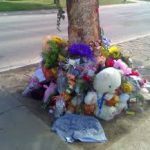 Having clear guidelines about what may be permitted including time frames for roadside memorials addresses this balancing act and actually provides guidance to Coucnil officers when dealing with this conflict. There is therefore in my no pinion no Lack of Compassion in the making of this policy. Far from it. Compassion indeed I believe was at the forefront of developing this property. I applaud our administration in developing the policy and Coucnil for approving it. This is a copy of a media release today from Council. 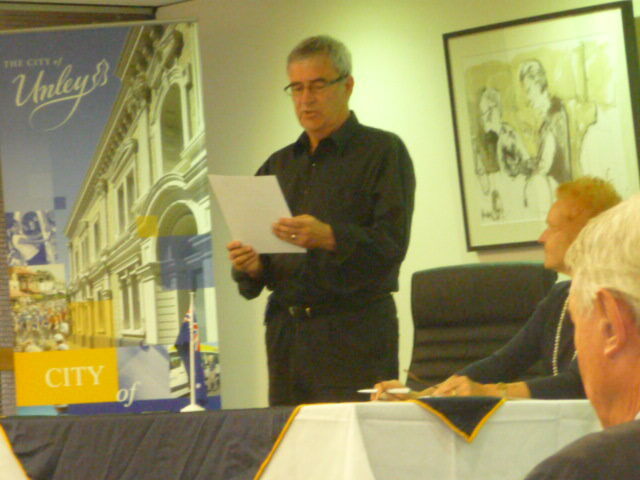 We are pleased to announce, that following Monday night’s August Council meeting, Peter Tsokas has accepted a new 5 year contract as the CEO of the City of Unley. City of Unley Mayor Lachlan Clyne welcomed the good news. 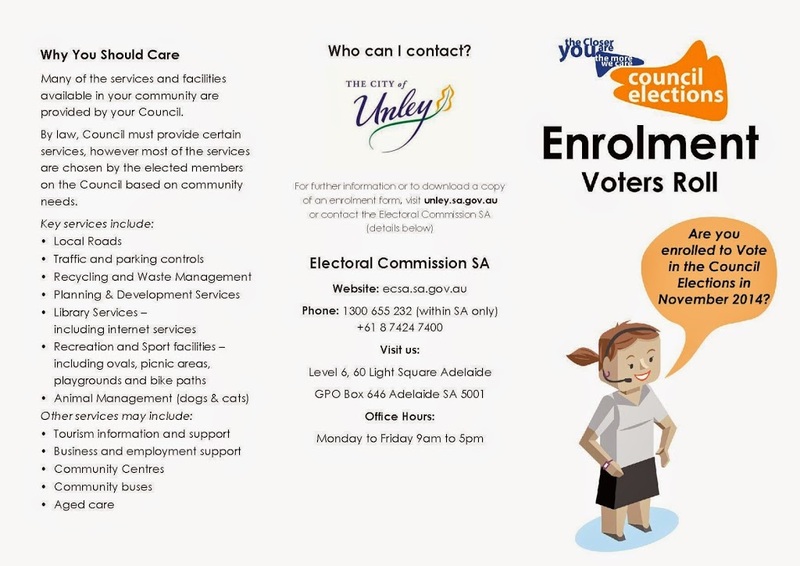 “Whilst the return of all 11 Elected Members who re-nominated for their positions at the last election was a clear indication of the Unley community’s confidence in our direction,” he said, “the announcement of this decision offers incredible stability to our organisation and our community for these coming years”. With this announcement Lachlan believes Unley is now very well placed to meet future challenges and can offer strong and respected leadership to the local community and the Local Government sector. “Peter’s positive leadership and strategic vision will provide a strong platform for achieving our goals and meeting our community’s needs with confidence” Mayor Clyne concluded. I concur with Lachlan’s comments. Peter has provided great leadership, not only reducing the operating budget by well in excess of $ 2.0m but creating a synergy within the administration that sees staff working together in harmony and respect. He has a great vision for the future of the City of Unley. From memory the vote taken on Monday night was unanimous. It seems like it has been a long time coming but we have now settled on the make up of our section 41 committees. The independent members have now been inducted and the first meetings have been scheduled. Membership of the committees is as per the table below. Representatives from the street trader associations. If you believe you can contribute to one of Council’s Section 41 committees here is your chance. You have but one week to make up your mind and let is know. 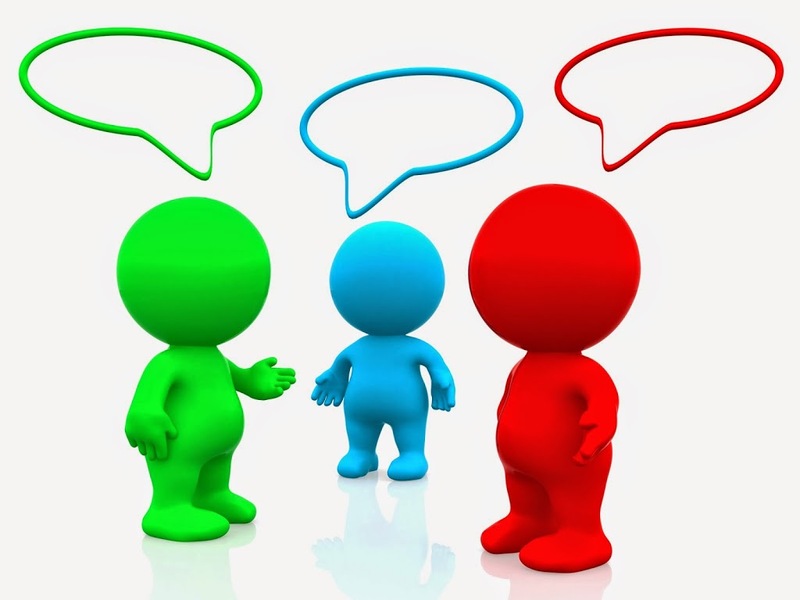 The City of Unley is seeking expressions of interest from suitably qualified individuals regarding membership of four (4) Section 41 Council Committees in the roles of Independent Members. The four (4) committees are Community & Culture Committee, Development Strategy & Policy Committee, Infrastructure & Sustainability Committee and Unley Business & Economic Development Committee. In addition to Independent Members, each committee will include a number of members selected from the Elected Members of the City of Unley. Applicants who have expertise relevant to the Committee in which they are interested are encouraged to submit their interest. Terms of Reference are available on the website via the link below. Normally it is expected that the Committees will meet for approximately two (2) hours, every three (3) months. Independent Members will receive a sitting fee. Having said that the Development Strategy & Policy Committee, who I have put my hat in the ring to chair, is likely to meet as much as 9 times this coming year such is the workload ahead of it. That will include a number of public forums. Applications will be received until 5pm Friday 30 January 2015. The Mayor and Councillors have now been sworn in and we are ready to kick start the next 4 years. And the next four years should be an exciting time as the City of Unley continues to shape itself for the future. I look forward to what this term holds for us and sharing it with you as it unfolds. Our first meeting will be next Monday night. At that meeting the focus will surely be on committee structures and which councillors will be on which committees. The next couple of weeks we will also be welcoming the two new councillors onto our team and making them feel as comfortable as possible. Will we see the continuation of the committee structures set up in our last term, will we do so in modified form or will we revert back to our previous structure. Or will we come up worth something entirely new. We have much in the wings as we start this term, no greater than the Brownhill Creek Flood Mitigation project and DPA2. Both of these impact in some part on the residents of Clarence Park Ward. Both are likely to come back out for public consultation by I reckon March. Also on the Agenda is the master planning (or improvement planning to some) of the three significant sporting venues of this City of Unley. Unley Oval has been elevated as a priority as far the Mayor is concerned. I see Goodwood Oval and Millswood Sporting Complex as having a need for focus as these two precincts I believe may have a greater chance of governmental funding when the State & Federal purse strings are loosened. I say this because there is more chance of contributory funding from the users of these two facilities than might be the case at Unley Oval influencing Government empathy. We will see soon work commencing on Goodwood Road to underground the power lines. The Council of the City of Unley will need to consider that this provides an opportunity for other upgrading along this strip sooner rather than later. And then there is possibly the most exciting project of all and that is the one we are affectionately calling Unley Central. Regenerating that area of Unley along Unley Road including the shopping on both sides of the road, the area around the memorial Gardens on the west, the City of Unley Offices, Civic Centre and St Augustine’s Church and through to the Village Green on the east. This new Council has the responsibility of providing the vision and the leadership to allow the business community, future Councils (and Government) and the general community to regenerate this area of the City of Unley into a precinct the envy of all other inner suburban district centres. I will be able to report more on this in the months and years ahead. That is the title given to a report put before Council last night. The report was the culmination of our Administration’s research into improving our communication with you. Some of my early day blog posts identified that while I always, as a business owner engaging with various councils, felt that Unley was one of the best I recognised a lot of internal problems once on board that indicated they could improve immensely. I identified problems in the processes and procedures that were of a concern. Our administration under the new management set up 12 months later have clearly identified likewise, possibly with a little nudging from me. There were no formal followup procedures for instance, meaning a member of the public would not necessarily know what we did about their concern. There were a number of similar concerns I had. We were doing the work but not communicating we had done the work. A sort of our job is to execute the task; you should know its done without us telling you. There is much to like about the report. It has taken initial procedural changes implemented a couple of years back now and formalised them a lot more. It includes a new system wherein elected members for a trial period and then you (if it works) can log a concern and then check the progress yourself on line. I am encouraged by this but as I indicated last night in moving the motion to receive the report I see this as but one small step in the right direction. This gives me confidence that what I want to bring to council in the next term is achievable. Achievable because our management recognises our need to improve our communication. Achievable because I saw acknowledgement in their faces when I pushed that it is not only procedures that need to be changed and formalised but we need to develop a cross council skill set in communication. In keeping with recent posts on this topic our staff, our management, and yes the elected members, can all do with some training in communications skills. And achievable because I heard a number of the elected members also recognising that this is needed. The council of the future should be one that hears what you are saying and talks to you in a language you understand, not in council speak. A number of people have wanted to make a deputation to Council recently. I have assisted these people prompting how to go about it. Council has now provided on our website the tools to make it easier. The advice and forms to assist in makig an appropriate deputation/petition are available. If there is something you wish to bring to the attention of the elected members these two options are a great way of doing. You have our undivided attention, in the chamber. And for maximum impact I recommend you d it on the night your issue is on the agenda. I posted yesterday that July would be a big month for Council, with two full meetings of Council scheduled. Well we aren’t going to get any rest for a while. Looks like we will have two full council meetings for not only July, but August and September. Caretaker mode can strangle our administration if they don’t have the necessary direction form us, so here we go.